Toronto based private investigator Vicki Nelson stumbles into the supernatural world in this short-lived series out of Canada. The series was based on the popular books by Tanya Huff wherein Nelson was a detective with the Toronto police until the decline in her vision forced early retirement or a permanent desk job. Rounding out the main cast are Nelson’s former partner and ex-lover Detective Mike Celluci, the vampire Henry Fitzroy who gets mixed up in Vicki’s business, and Coreen Fennel who first appears as a college student who gets kidnapped to be a demon sacrifice and ends up as Vicki’s assistant. It all makes perfect sense. Don’t argue with me. I loved this show. I stumbled on the show years ago and thought I’d seen all the eps but in rewatching it for this post, I discovered I’d never actually seen the second season. A nice surprise since I really enjoyed the lighter supernatural cop drama (lighter in comparison to a lot of the demony shows available now). The dynamic between the characters- the will they/won’t they… It drew me in. The series was mostly monster of the week due to the nature of being a private eye; however, there was an underlying demon issue- Astarath (and his henchman demon, Norman)- that came back around. Fun surprises occurred, too- i.e. Danny Trejo appearing as an Incan mummy terrorizing Toronto in season 2. I mean, how do you go wrong with Danny Trejo as a mummy?? I particularly enjoyed the ME, Dr. Rajani Mohadevan, because she is not only open to the possibility of the supernatural, but is excited about the differences these cases bring to her table. It’s pretty cute. 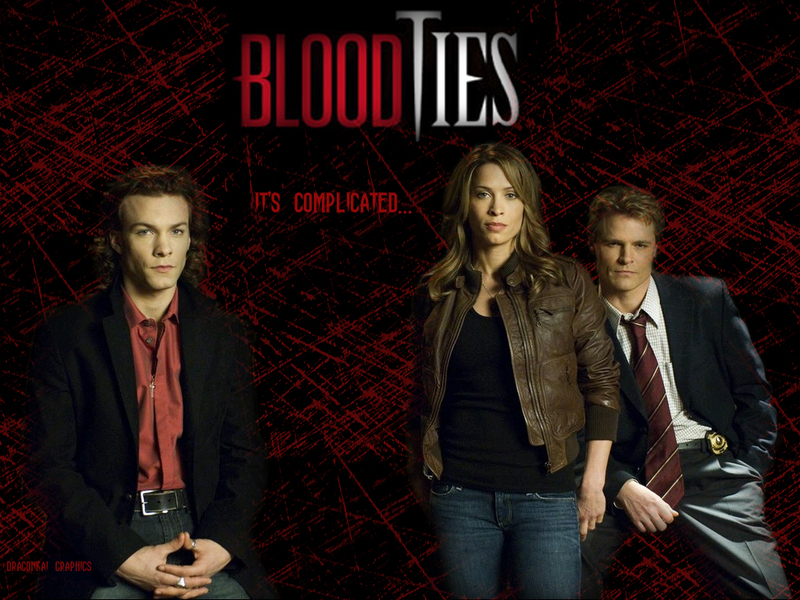 Some other things I enjoy about Blood Ties– the love triangle is cute; Henry’s other life as a graphic novel artist (off and on during the series he doodles the other characters, it’s cute); and the monsters of the week varying from everything from Medusa to body hopping demons forcing out souls to be wandering “ghosts”. There’s even a giant teddy bear thing that attacks people… he’s bright orange. I wish there were more episodes. I would have enjoyed seeing these characters grow more. But that’s the fun of a series based on books, right? I can just go read their further adventures. Overall, if you can find the series, I say watch it. It’s only 20-something episodes (sadly), so it’s perfect for a dreary winter weekend. ← Taking A Leap Into (an advance first episode review of) Syfy’s THE EXPANSE!